Are sheltered from the stress. Corals in the Gulf of Aqaba (Photo Credit: EPFL/Itamar Grinberg). This is a nonet, inspired by recent research which has found that excess nutrients from human activities may compromise the resilience of coral reefs to climate change. Over the last 30 years, 50% of the world’s coral reefs have suffered significant damage due to global warming and ocean acidification. However, unlike in other parts of the world coral reefs in the Gulf of Aqaba (a semi-enclosed water body located at the northern end of the Red Sea) have previously been shown to be resilient to climate change and ocean acidification. 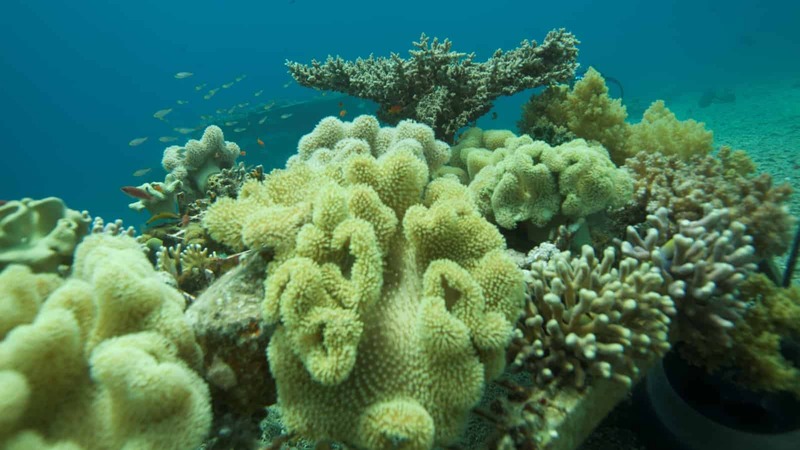 Unfortunately, this new research has demonstrated that local disturbances, such as a rise in nutrient concentrations from sewage and fish farms negatively affect these coral reefs and reduce their resilience. With the addition of excess nutrients, researchers found that the entire microbial community on the coral surface changed, and that as it did their resistance to any thermal stress brought about by warming events became much lower. Whilst it is difficult for this community to reduce the global carbon emissions that damage corals, removing local disturbance can help to ensure that these corals maintain their resilience against global stresses.